We are wrapping up the tour of one of our favorite spaces, our Gentleman’s Quarters: A Southern Bachelor Pad. If you need a detailed tour (and I’m sure you do), please explore the foyer, the dining room, kitchen, and the fabulous bar area. The green window casings and bead board dated the space. The main dark wall in the living room created a black hole that made everything disappear into the shelving units. The ultimate aim of the design was to create an area of high contrast, juxtaposing the industrial and modern elements with warmth and comfort. The window sashes were painted black to update and modernize the feel of the living area, the bookcases were painted a light gray, while the rest of the fireplace was wrapped in a bright shiplap to create a clean and bright showcase for the family heirloom art and other decorative items that personalized the space. The gilded frame is such a welcome surprise against the modern, mantle-less fireplace surround. 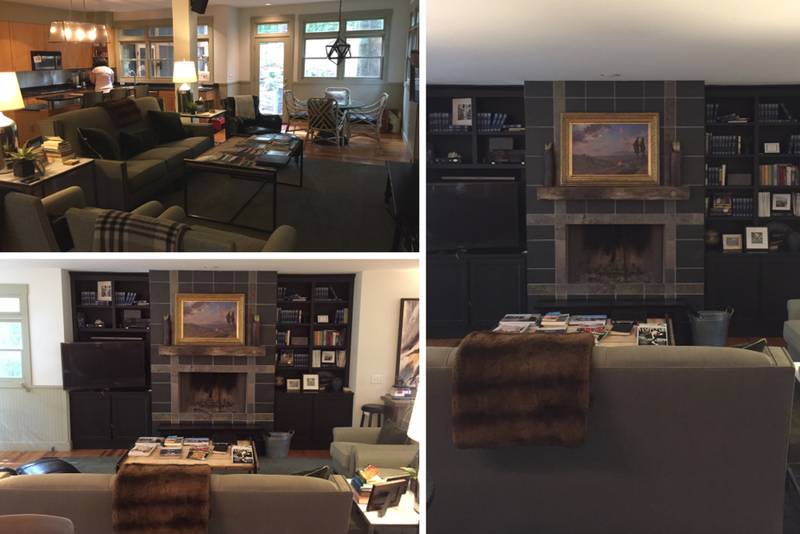 My client wanted to keep his main furniture pieces for now, so we layered a rug on top of the old one, added fresh new pillows, throws, and restyled the coffee table. 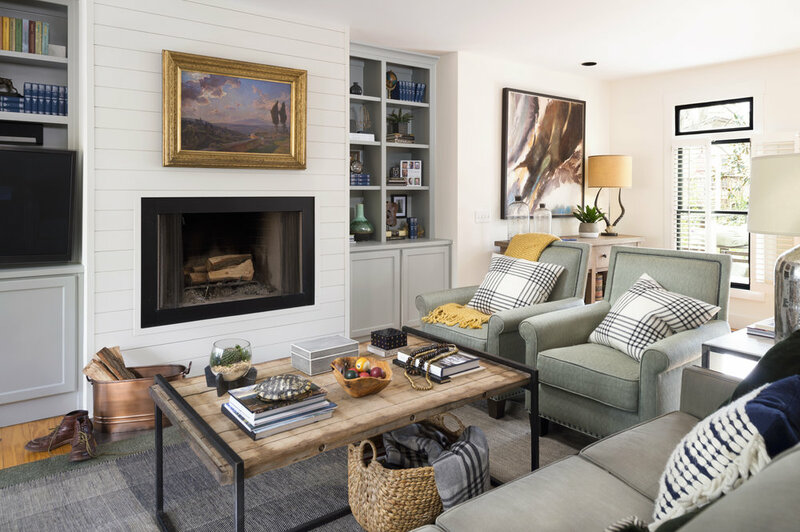 To the right of the living room space, a console table adds purpose to an otherwise forgotten corner, and the area was styled to match curated feel of the rest of the space.